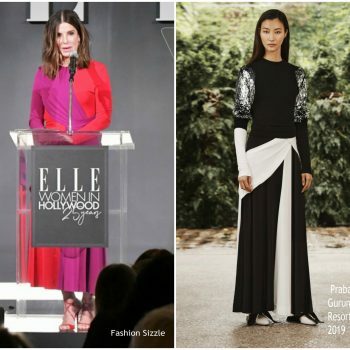 Sandra Bullock wore a Prabal Gurung Resort 2019 bicolor dress to the 2018 ELLE Women in Hollywood Celebration. 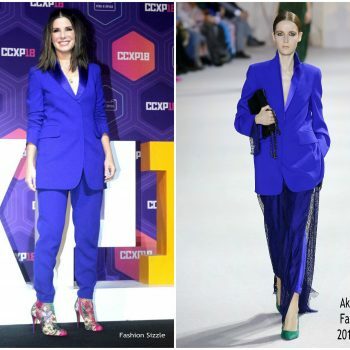 Sandra Bullock attended the London premiere of her new movie ‘Ocean’s 8’ today on June 13, 2018 She wore a sequin Zuhair Murad Pre-Fall 2018 jumpsuit styled black Stuart Weitzman heels. 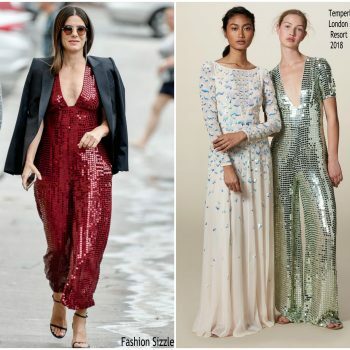 Sandra Bullock made a guest appearance at Jimmy Kimmel Live at the El Capitan Theatre in LA on Wednesday (May 30) She wore a red sequin Temperley London Resort 2018 ‘Heart Charm’ jumpsuit. 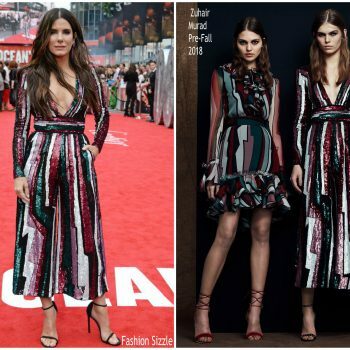 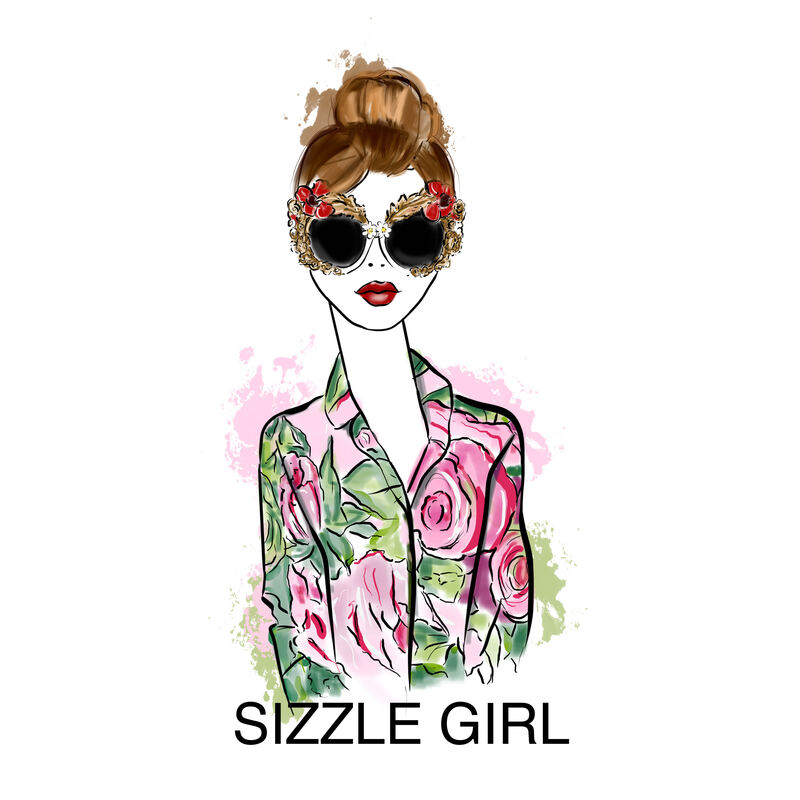 Sandra Bullock was spotted leaving a New York hotel Thursday to promote her new movie Ocean's 8 She is wearing a patterned Rixo London maxi dress .